The first native born true Mountain Guide in Britain was probably John MacKenzie whose career in the Cullin of Skye spanned 50 years. Prior to this guides of other nationalities visited the United Kingdom to ply their fledgling trade. Jerry Wright, Jim Birkett, Jim Cameron and George ‘Scotty’ Dwyer among the first to make guiding their profession, for many of the same reasons which resonate with modern guides today. Jerry Wright wrote: “The magic of the mountains captivated me when I was a boy and I have remain enthralled ever since”. The British Mountaineering Council (BMC) was formed in 1944, and quickly developed a registration scheme for Guides with an early training and assessment process. Charlie Wilson was the proud owner of Certificate No.1. BMC Guides were registered for a specific mountain area as either ‘mountain’ or ‘rock climbing’ guides, with an additional endorsement for Scottish climbing administered by the Association of Scottish Climbing Clubs (ASCC). Gwen Moffat became the first female Mountain Guide (having registered with the BMC) breaking the cultural barriers of the day to do so. Although the first she was far from the last, and was followed by Brede Arkless, and Kathy Murphy who was arguably the first to go through the more stringent training and assessment scheme in the 90’s. The BMG now has nine female members (eight ‘Full Guides’ and another in training). The British Mountain Guides Association formed following an amicable break with the British Mountaineering Council (BMC). The early winter assessment procedures were formalised by BMG members including John Brailsford and Alan Kimber; who ran the first "winter assessment" based in the CIC hut on Ben Nevis February 1976. Advice taken from John Cunningham and Bill March working at Glenmore Lodge (National Mountain Training Center) was that it should be "HARD". The Scottish section of the Training program is still maintained which still sets the British Mountain Guides Scheme apart from the alpine countries. This period also established the BMG within the alpine mainstream following Britain’s entry into the European Union (the then EEC). A formal application to join The International Federation of Mountain Guiding Associations (IFMGA) was initially rejected Note. 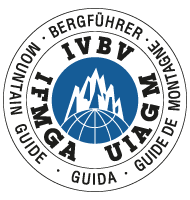 Referred to as The Union Internationale des Associations de Guides de Montagnes (UIAGM) in French or Internationale Vereinigung der Bergführerverbande (IVBV) in German. Finally in November 1977 Colin Firth, John Brailsford and Peter Boardman paved the way for the BMG’s acceptance at the general assembly of the UIAGM in the Val d’Aosta. As part of the BMG’s initial application to IFMGA there was much discussion on the standard of British Guides skiing, and this was earmarked for development. There were already a number of Guides based in Scotland, such as Martin Burrows-Smith operating at a high level on skis. Fred Harper and the instructional staff at Glenmore Lodge at the time were instrumental in this step change in standards. This continues today though the support of The Fred Harper Trust in facilitation, extension and improvement of ski training for practicing, trainee or aspirant guides. Rob Collister instigates additional avalanche training as well as establishing the first template for a dedicated Alpine Training Course. Canadian Guide Phil Hein was invited to the UK to run a ‘train the trainers’ course, which did much to improve parity of standards. The Training Officer of the BMG is increasingly involved with the IFMGA Technical Commission, monitoring standards and addressing issues in new areas of a guides work such as canyoning and high altitude expeditions. Roger Payne during his Presidency of the BMG invested considerable energy and was made an Honorary Member of the IFMGA shortly after his tragic death on Mont Maudit.  In November 2012 the British Mountain Guides also hosted representatives from the twenty IFMGA Member Countries from around the world at the IFMGA Conference in Aviemore, Scotland. Mark Diggins is elected to the IFMGA Technical Commission. There are twenty three Guide Associations around the world and for almost fifty years IFMGA Board members have been drawn exclusively from the founding countries of Austria, France, Italy and Switzerland. It was therefore a momentous decision to not only appoint Mark but Swedish Guide Mike Wright to the IFMGA board. Early in the year of the BMG’s 40th anniversary, representatives from the Ecole Nationale de Ski et d’Alpinisme (French guides school) observe the BMG Winter Test based in the Scottish Highlands, in an ongoing agreement to ensure parity of standards. The verdict? That BMG Trainee Guides are better trained than ever on their home turf before heading to the Alps.